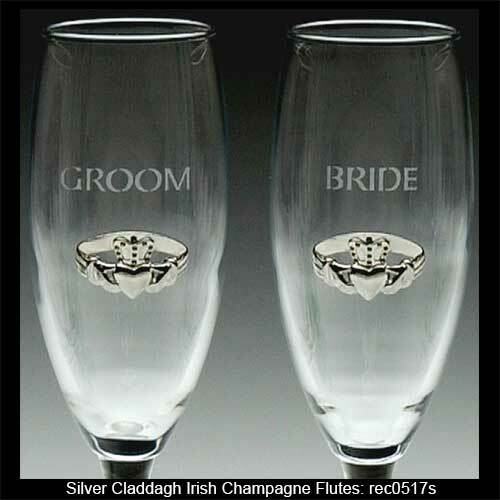 Irish champagne glasses feature silver plated Claddagh emblems along with the words bride and groom etched on the respective vessel. 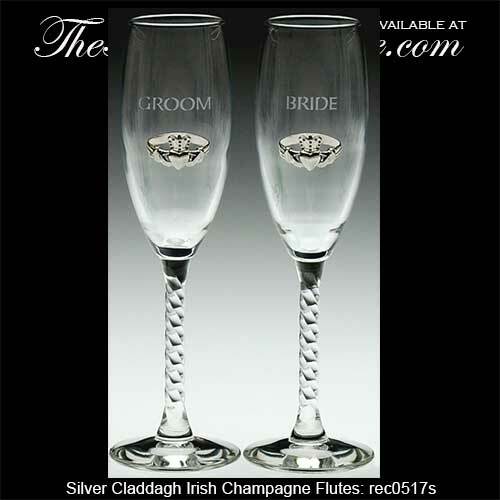 This pair of Irish champagne flutes feature silver plated over pewter Claddagh emblems along with bride and groom etched above the respective icon. The Claddagh wedding glasses are perfect for joyous toasts throughout your life time and measure 8 1/4" tall. 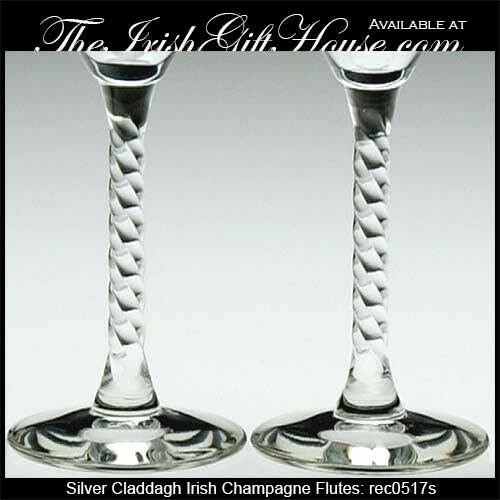 The Irish wedding flutes are made in the United States and are gift boxed with a Claddagh history card, complements of The Irish Gift House. Irish champagne glasses feature gold plated Claddagh emblems along with the words bride and groom etched on the respective vessel.